The good condition of your equipment and regular waxing are essential for a good slide! Our workshop services are offered on specific request only in our Les 2 Alpes store. Depending on your morphology, it is very important to find shoe to his foot. Find the shoe that is well, make it perfectly suited to his foot is better. This is what is called the bootfitting. Our services are offered SKI workshop during the winter season only. Some services are systematically included in the sale or rental of your equipment. 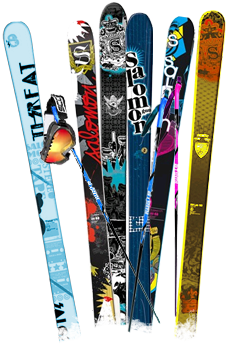 Our modern equipment allows us to put your skis in a near new condition. Information and advice in store. Our bike shop services are offered to our customers who rent a bike CH Intersport. Cleaning and revision is included after each outing. During your stay, some services can be offered to allow you to make the most of your bike safely. Information and advice in store. 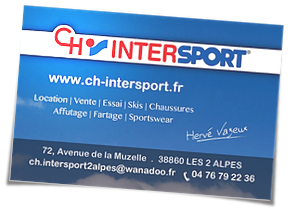 Your Intersport store is at your service! 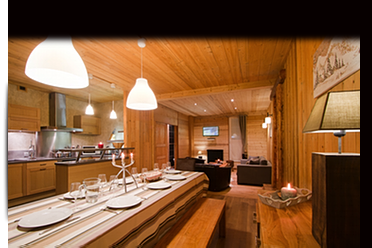 100 meters from the ski lifts.